The popular Dunmoor Gilet is a lightweight fleece layer that's windproof and breathable, featuring durable Alcantara shoulder patches and a classic Barbour two-way ring-pull zip. Perfect for the warmer early-season or layered under a jacket during the colder winter months, the Dunmoor gilet is an ideal sporting garment. Deep cartridge pockets allow plenty of room for keeping important items close to hand, and feature an attractive traditional diamond box quilt. 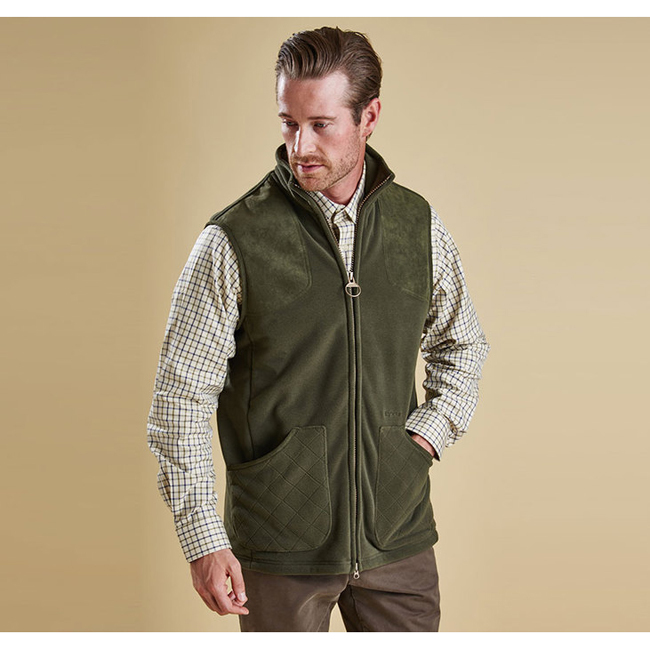 The Dunmoor gilet is available alongside a wide range of country sports clothing from the men's Sporting collection. It looked great but it was a little too big for me. I’m 5’4 and tried to get a M. I need a S.